Made in the USA. 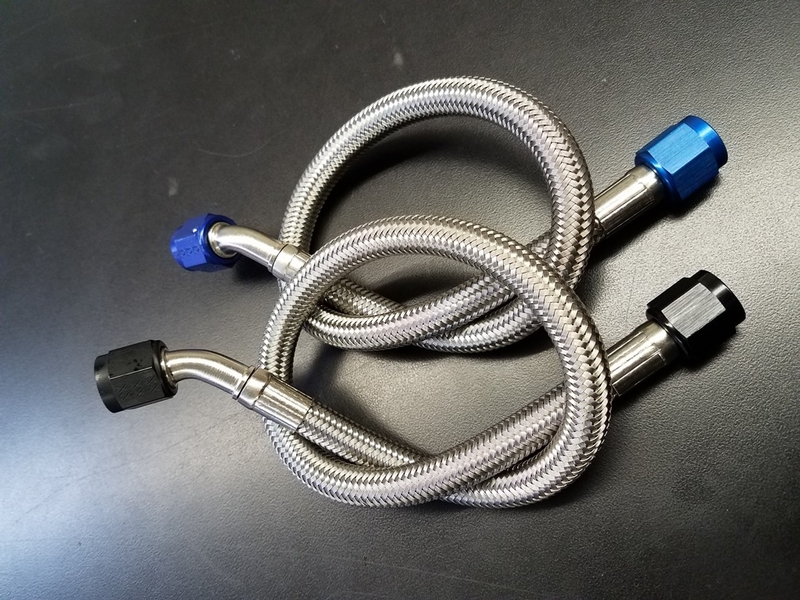 These pre-assembled #6 PTFE .030" wall hoses can be used for Hydraulics, PSI gauges or any other Hi PSI application. Hoses are tested to 1500 P.S.I. before delivery. If you don't see it in here, call us for special assemblies or color changes. -6 AN Female Swivel to -6 Female 90 Deg. -6 AN Female Swivel to -6 Female 45 Deg.